We should know the result by around 6pm. TODAY, THE FINE Gael party chooses its successor to Enda Kenny. When the dust settles, it is highly likely that Simon Coveney or Leo Varadkar will become the next Taoiseach. Varadkar jumped to an early lead among his fellow TDs and it looks like Coveney has a mountain to climb. In recent days, however, his camp has claimed that some TDs have secretly switched from Varadkar to the Cork South Central TD. TDs aren’t the only ones who decide however, with MEPs, senators, some 235 councillors and 21,000 party members eligible to cast a ballot. So how does it all work? And when will we know who won? Councillors and party members have been voting all week, but it is TDs who cast their votes today. This will take place at Leinster House between 8am and 12pm this morning. All ballots cast are secret so it is feasible that some could switch from their public allegiance to another candidate at the last minute. All votes cast will then be brought to the Round Room at Dublin’s Mansion House at Dawson Street where they will be counted. Each vote will be verified and checked by national returning officer Gerry O’Connell, who is chairman of the Fine Gael executive council. The 73 members of the parliamentary party, encompassing TDs, senators and MEPs, will account for 65% of the overall vote. With Varadkar boasting such a strong lead here, Coveney is well and truly up against it to make up the numbers. The 21,000 party members account for 25% of the vote, while councillors make up the final 10%. The results will be announced by O’Connell. In a bid to ramp up the tension, the results will be announced in stages. First, the party members’ result will be declared, followed by the councillors. Lastly, the decision from the parliamentary party will be announced before the final declaration. It is expected that a decision will be declared in the mid-afternoon, with expectations that the vote will be declared by 6pm at the latest. Whoever becomes Fine Gael leader does not automatically become Taoiseach. For the next few days, at the very least, Enda Kenny will remain Taoiseach. 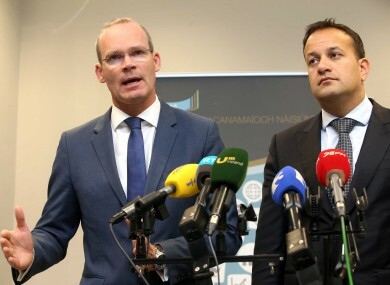 The next task for Coveney and Varadkar will be to hold talks with those propping up the minority government to convince them to continue supporting it under their leadership. The Independent Alliance, which holds several ministerial positions, will need to support the victor, while Fianna Fáil will need to continue its confidence and supply agreement with Fine Gael, if the new leader is to be elected Taoiseach. The Dáil sits again on Tuesday but, depending on the stance taken by the other parties, we may have to wait a little while longer before a new Taoiseach is elected. Whoever wins, either man would become the youngest ever Taoiseach. When asked what advice he would have for his successor at his final appearance at Leaders’ Questions, Enda Kenny recalled a Latin phrase: “Illegitimi non carborundum” which translates as “don’t let the bastards get you down” (He also said it in Irish). Email “Fine Gael elects a new leader today. Here's how it's all set to go down”. Feedback on “Fine Gael elects a new leader today. Here's how it's all set to go down”.